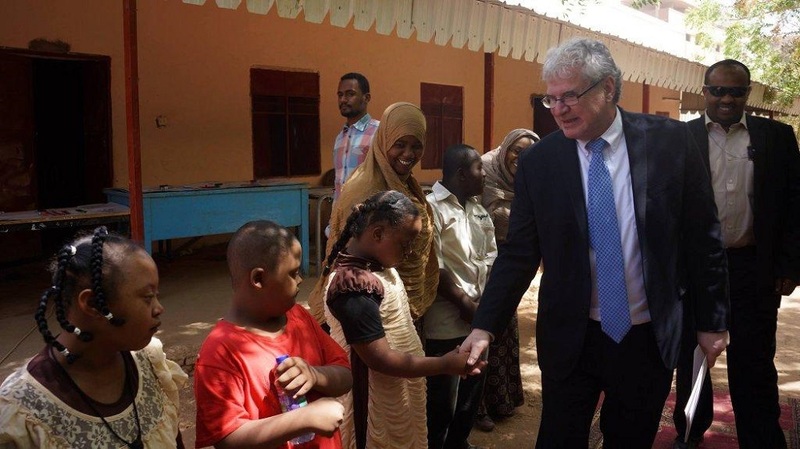 Khartoum, Cairo – Senior US Envoy for Sudan said on Saturday that the African country “knows well” what it should do in order to be removed from Washington’s list of states sponsoring terrorism. He noted that conditions have to be “right” for holding talks with Khartoum on removing it from Washington’s blacklist of terrorism sponsors. Last week, the US announced ending its 20-year-old trade embargo on the east African country, while keeping it on the list of states sponsoring terrorism. “This is something that both sides are keenly willing to discuss, but we have to be certain that conditions are right for discussions to remove (Sudan) from the list,” Koutsis said at a press conference at the US mission in Khartoum. Sudanese officials stressed that their country’s designation on the blacklist has created difficulties in seeking exemption from external debt, a factor that is preventing the growth of the local economy. The United States imposed economic sanctions on Khartoum in 1997 on charges of supporting extremist groups, including al Qaeda, whose late leader, Osama bin Laden, resided in Sudan from 1992 to 1996. Former US President Barack Obama relaxed sanctions in January 2017 stating that they would be finally lifted six months later. His successor, Donald Trump, extended the deadline until October 12. With the lifting of the embargo, Koutsis predicted that US companies would become more interested in trading with Sudan. “But companies will definitely make business decisions based on the level of risk, and will look at the various aspects of potential investment in Sudan,” he said.